Lawmakers in Virginia's General Assembly are debating legislation that could put a cap on tuition rates for in-state students at Virginia's public colleges. The State Council of Higher Education for Virginia has raised concerns. WASHINGTON — Should there be a limit on how much colleges can charge for tuition? That is a question being considered in Virginia’s General Assembly, where lawmakers are debating legislation that could put a cap on tuition rates for years to come. Under the bill, introduced by Democratic Del. 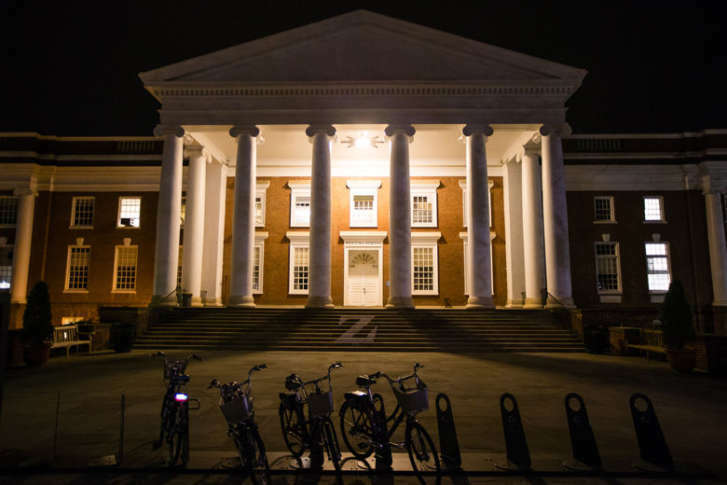 David Reid, D-Loudoun, tuition for in-state students at Virginia’s public colleges would be capped at this year’s levels for the next four academic years. The bill would cap the percentage of out-of-state students enrolled at public colleges at this year’s levels. Although colleges would not be able to raise tuition rates, they would have the authority to increase the amount of money charged to students for room and board. In one of Reid’s Twitter statements, he called recent tuition hikes a “crisis” and said the state needs to do something to get the increases under control. “It’s the right thing to do for Virginia families,” he wrote. The State Council of Higher Education for Virginia, the state agency that makes education public policy recommendations, raised a number of concerns about the bill. “Higher education is a shared responsibility among the state, the institution, parents and families,” said the agency’s director Peter Blake. Speaking to members of the House of Delegates Education Committee, Blake said the bill only looks at one side of the equation — what the university is able to do to make college more affordable. Blake said those decisions should be left up to individual schools and should not be dictated broadly. “A bill that caps, for all institutions, disproportionately affects those institutions that have not raised tuition as much,” said Blake. The bill garnered enough support in the education committee to advance on a 15 to 4 vote. It now will be considered by the House Appropriations Committee.